Wire fraud continues to impact homebuyers across the country. Educate your clients on the prevalence and dangers of online scams and protect yourself, your business, and your clients by implementing best practices to safeguard against cybercrime. 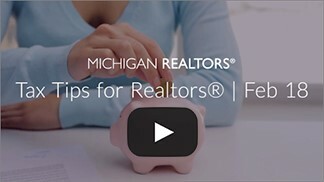 Brought to you by the Michigan Realtors® accounting team, this new video series will address accounting and tax topics for Realtors® throughout the year. Will you be ready to renew your license on October 31, 2018? The CE Marketplace is here to help you with this process. 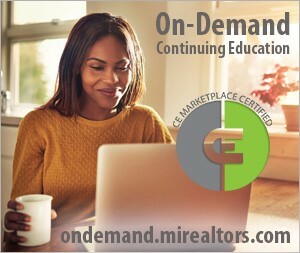 The portal allows you to create and access a profile with information on CE Marketplace certified credit hours, and provides you the opportunity to self-report continuing education hours you have taken through a third party. You can access the portal from the CE Marketplace home page by clicking Login in the upper right corner. If you wish to update your profile, register for a class, or self-report credit hours, you will need to log in. To get started with the CE Marketplace please register online using your 10-digit LICENSE number to generate a “token” email for you to complete your registration. If you have any questions about registering or logging in please contact the CE Marketplace or give us a call at 844.MI.CONED. Thank you to all of our Realtor® leaders who attended Achieve this past week in Detroit. Over 230 members and affiliates were in attendance and went the distance as they prepared for a great year in leadership! Please take a few moments to complete our post-event evaluation and individual session surveys. Your feedback helps us to continually evolve our programs and provide valuable event experiences through educational sessions, dynamic speakers, and collaborative networking environments. In early 2017, the NAR Leadership Team created a Presidential Advisory Group (PAG) on the Future of the REALTOR® Party, and charged its 21 members with five responsibilities. 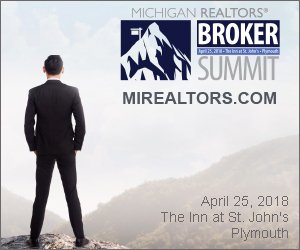 On Wednesday, April 25th the Michigan Realtors® Broker Summit brings together elite brokers and Realtors® from around the state to address current real estate and market trends that impact your bottom-line. We are excited to announce that NAR Chief Economist, Lawrence Yun, will give a comprehensive economic update on residential real estate trends and issues. I represent buyers who terminated a purchase contract after discovering black mold in the house. I now have another interested buyer who would like to make an offer on the same home. The listing agent said that I cannot tell my buyer about the prior buyers’ discovery of mold because I obtained that information during a prior agency relationship. Is this true? NO. As a buyer’s agent you have a fiduciary duty to notify your current client of any issues that you know of about the property. While most buyers’ agency agreements expressly provide that the agent will not disclose confidential information learned through another agency relationship, the information about the discovery of black mold is not “confidential” as to the first buyer. Information known to both a seller and a potential buyer is not “confidential” as to either. 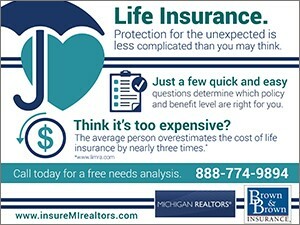 As a leader in the insurance industry for nearly 60 years and a long-time partner of the Michigan Realtors®, Pearl Insurance is proud to share with you our quality Errors & Omissions Insurance, which offers valuable coverage that's better and more affordable than ever before. 3. Are You Ready to Renew?